OLD PARKED CARS. 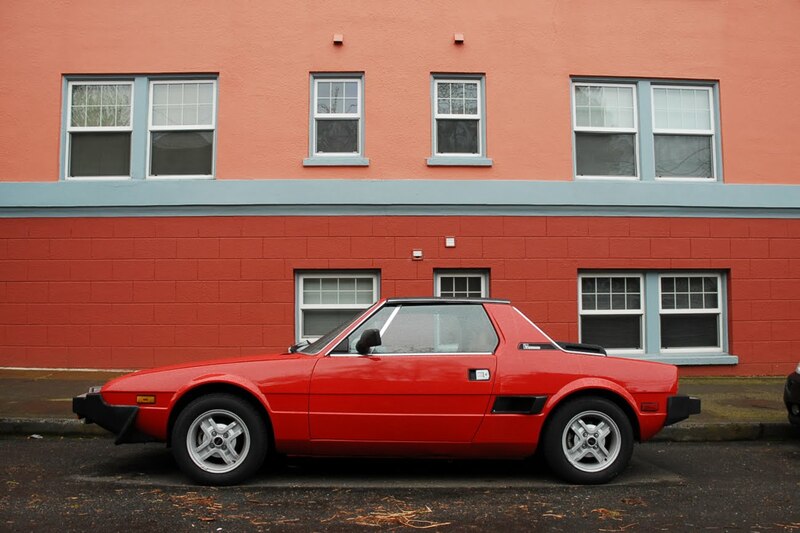 : 1980 Fiat X1/9. 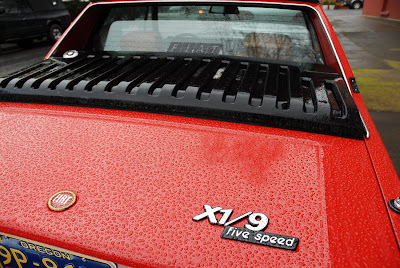 Nice Fiat. Well kept. New paint or just freshly waxed? That would have to be a resto job, no? Surely it wouldn't have lasted this long otherwise. Wow! 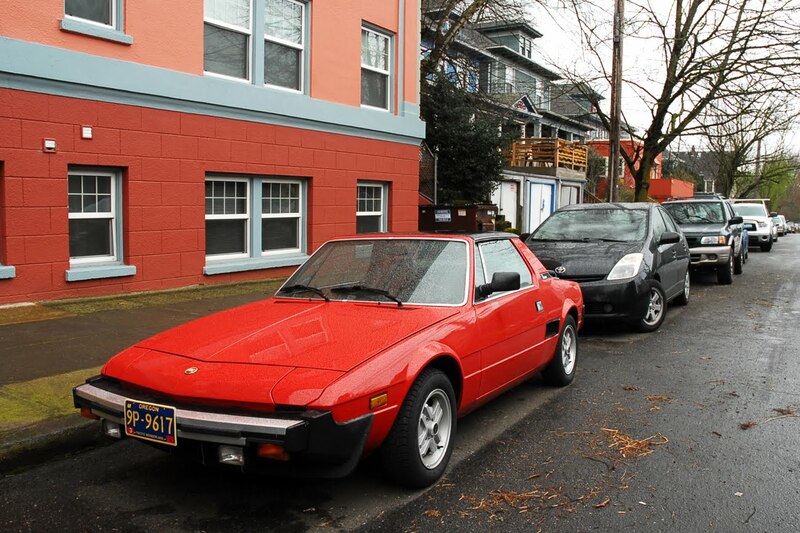 Didn't Magnum PI drive one of those in the '80s? 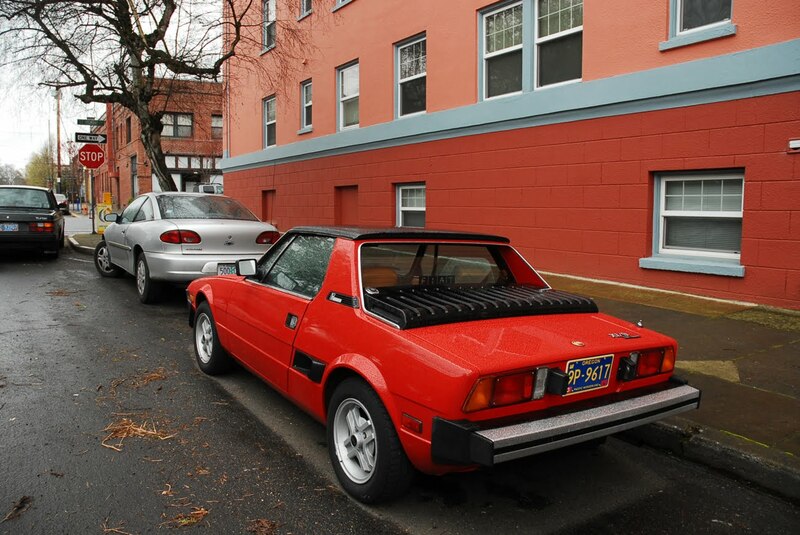 But seriously: This photo is final proof that Fiat actually invented the Pontiac Fiero. LOL. 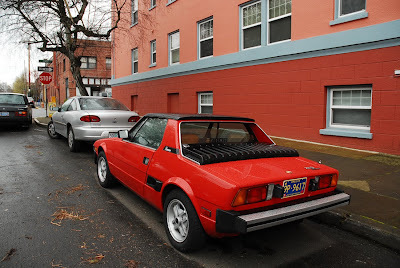 PI had a Ferrari 308 GTS....very similar styling, I can see why you thought that. Great-looking car, but I'm about dead certain I'd find that block of a shift knob very off-putting. That's my car! Very cool to see it getting some attention here! 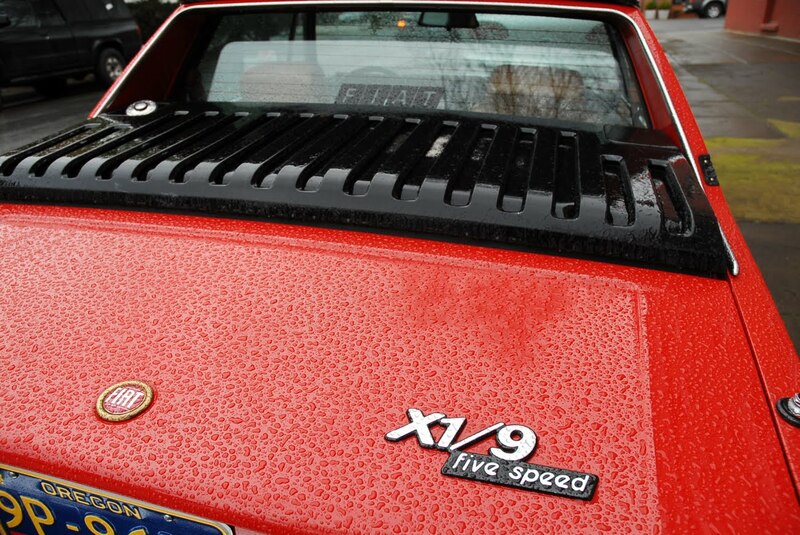 I have a correction though, it's actually an '81. 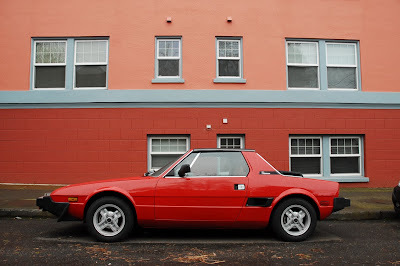 It has been repainted by a previous owner, and since I've had the car the passenger side was totally redone after an accident, the Fiat badges and front grille were replaced and it's had several mechanical upgrades and interior improvements. 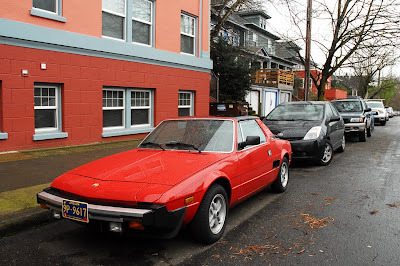 It's a super fun little car and I plan to keep restoring it to factory specs!